I saw this article on boing boing about a jeweler who specializes in science fiction themed jewelry. 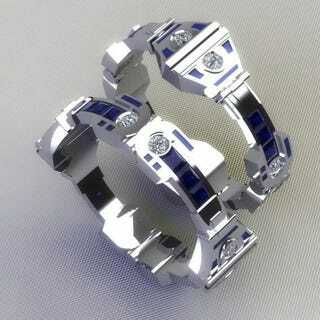 This photo is a set of R2-D2 themed wedding bands. $1050.00 will get you a SPINNING TARDIS RING!!!! !